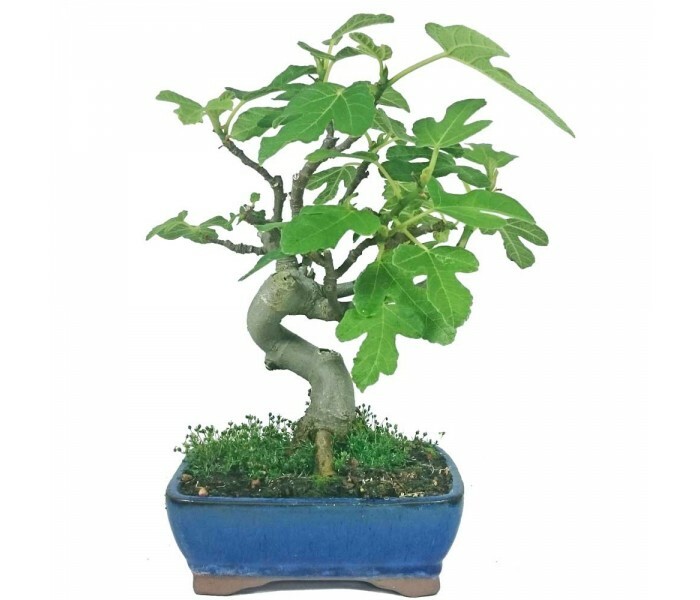 Ficus Carica - Wild Fig Outdoor Bonsai Tree in 16cm pot. Keep outside all year round, but protect from heavy frosts. Naturally grows large leaves, prune hard in spring to encourage regrowth of smaller leaves. 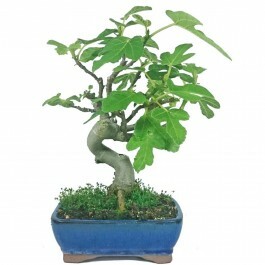 This tree is about 29cm tall from the rim of the 16cm bonsai pot.